Talk of extending Twitter's character limit caused a bit of a tweet storm on Tuesday after Re/code reported that the San Francisco-based company is considering changing the 140-character model to as long as 10,000 characters. Twitter CEO Jack Dorsey himself winked and nodded at the rumors with a long-form tweet of his own, seemingly confirming that major change is afoot. We asked agency executives to weigh in on the potential impact more characters could have on brands. The general reaction skewed positive among those we asked, though there were dissenters. "It comes across as a desperate move that strays from everything the company is built on," said Luke Yun, a social strategist at 72andSunny. 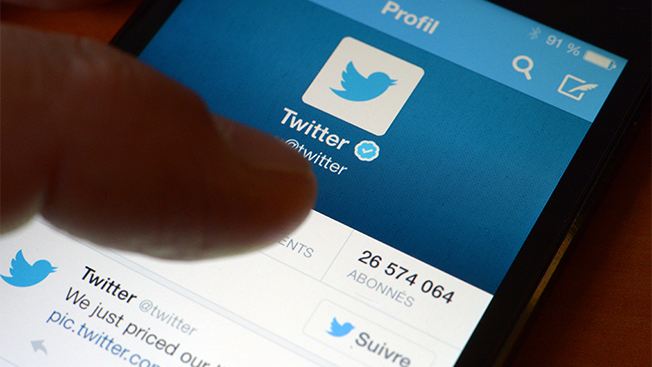 "It's true that brands may be able to target users better when they tweet with more characters. It's also true that there's some fun to be had with 140-character brand tweets—think emojis, ASCII art, tags. But at the end of the day, the user experience may take a hit. And that's a loss for everyone involved." At the same time, Laura Chavoen, director of social media at Grey New York, said Twitter users have already been finding ways to get around the current limit with screenshots and links. "This change will open the platform to new users and will power new strategies, enabling a richer experience within the channel," Chavoen said. "I am optimistic that this proactive move will widen the audience and, in conjunction with the launch of the 'non-logged-in' experience, will fundamentally change the way Twitter is used." According to Noah Mallin, head of social at MEC North America, the move could make it easier for highly regulated industries to meet disclosure requirements on the platform. That could be a big win for the pharmaceutical, alcohol and healthcare industries, and for financial institutions. While longer Twitter wouldn't prevent people from going on the occasional tweet storm—even Dorsey pointed out he doesn't plan to stop those—it could create a better option for those who want to post lengthy memos. That could be good for political parties that want to post their platforms or industry leaders who want to write more all at once. It could also work well for people who want to give lengthy replies to other people's tweets to show their side of an argument. "Twitter could become a place for more in-depth blogging and thought leadership from executives, similar to LinkedIn and Medium," Mallin said. More characters will create more opportunities for searching within the platform, but it will also provide new opportunities for marketers to harness the power of Google. It's been less than a year since Google began testing tweets in mobile search results, but 9,860 more characters could exponentially increase the potential of SEO. "The biggest reason they are making the shift is not just for user behavior—to me, it is to increase the platform's capabilities in search," said Tom Edwards, chief digital officer of agency business at Epsilon. "With more content, it will be about getting more insights on individual behavior and other ad opportunities. This change allows to search more content, signal of users and increase the platform's targeting ability." Social-media engagement has always been important for brands. If marketers can get consumers to devour more copy, it stands to reason that Twitter could drive more efficacy—namely sales. "Allowing brands to reach audiences with more content on Twitter will only result in more time spent with brands," said Heat social media director Kirby Todd. "Expanding the character count gives brands more of an opportunity to build connections with their audiences while giving consumers more social real estate within the platform." Topher Burns, group director of distribution strategy at Deep Focus, said more characters means more options for content creation. He said, "Now, instead of linking off-channel, you can imagine being able to offer richer experiences on-platform, which data has consistently proved increases engagement—DIY tutorials, recipes, product origin stories, even consumer reviews tagged with the profile of the reviewer." Depending on how Twitter would set up capabilities for longer tweets, the move could provide a way for brands to have a combination of short- and long-form content. One could imagine a button for TL;DR (Internet slang for "too long; didn't read") that gives consumers options for what kind of branded content they want to look at. "Brands will have to become familiar with the concept of TL;DR—just because you can go long doesn't mean you shouldn't be pithy," Mallin said.